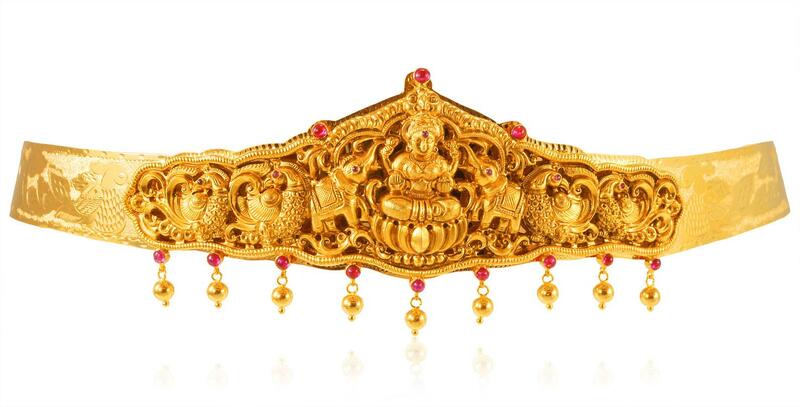 22KT Gold Kammar Patta / Waist belt / Vaddanam is beautifully designed with Goddess Laxmi Jee and peacock affixed on it. 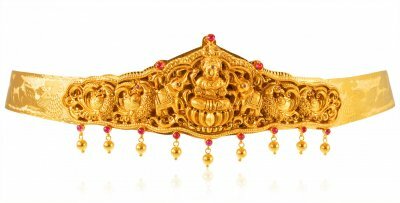 The vaddanam belt is designed with machine cuts with fancy floral and peacock designs in frosty shine finish. Studded Rubies enhances its look. The bottom has hanging gold balls which adds an authentic Indian touch to it. Belt is 40 inches long and 75 mm wide (max at the center including the hangings).